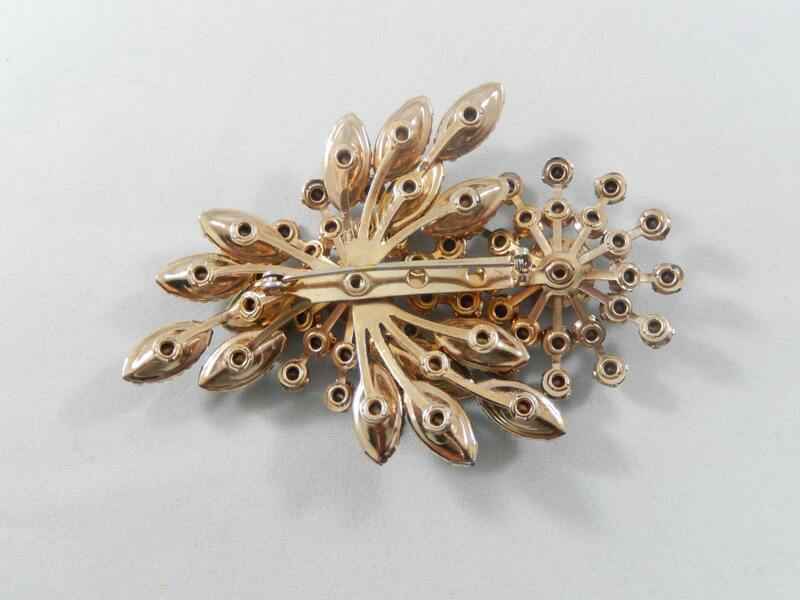 This is a delightful gold tone vintage Beau Jewels brooch in a layered floral motif. 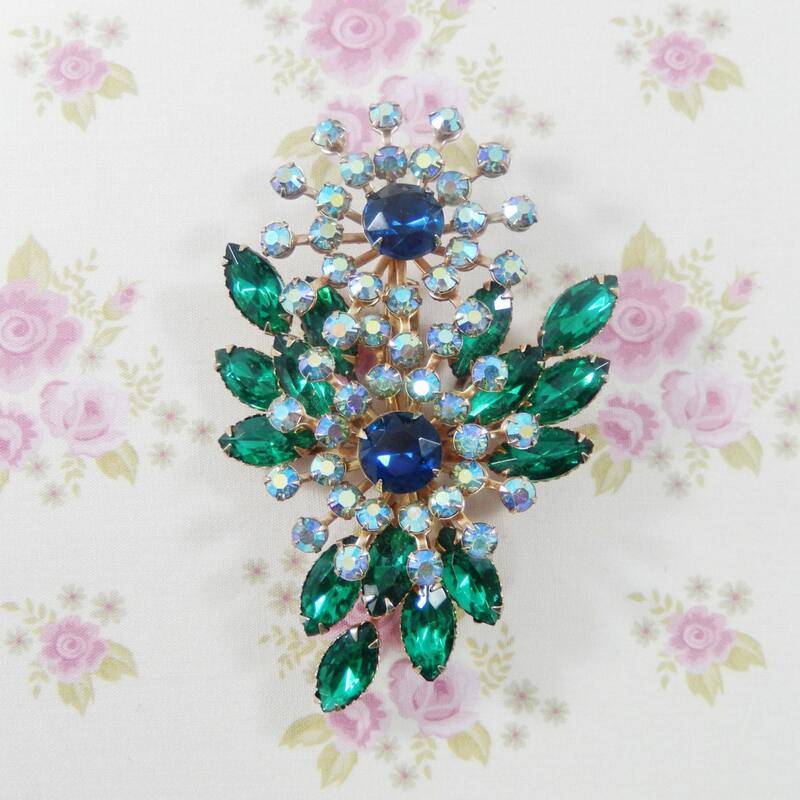 The two flowers have large cobalt round rhinestone centers encircled twice with sparkly AB rhinestones. The outer leaves are large emerald green marquise cut rhinestones. It measures 3 1/2" x 2 1/4" and the pin closure has a small gentle bend but works smoothly and securely. The back metal is shiny with one small area of gold loss. All of the rhinestones are faceted, prong set, original, clean and sparkly. 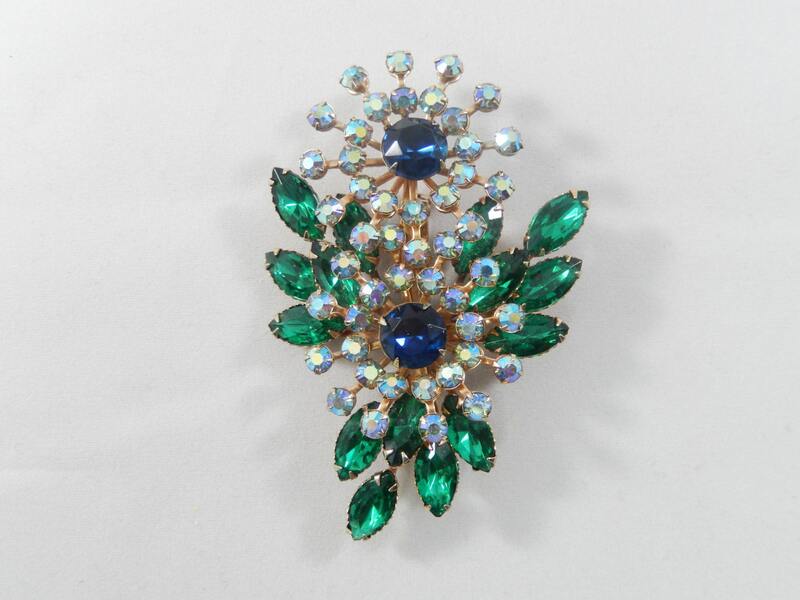 Beau Jewels never signed their brooches but this one has all the attributes recognized by collectors: riveted back construction, brilliant quality prong set rhinestones, elegant color combination, and great design. This striking brooch will be a wonderful addition to your collection or an unforgettable gift to a dear friend!